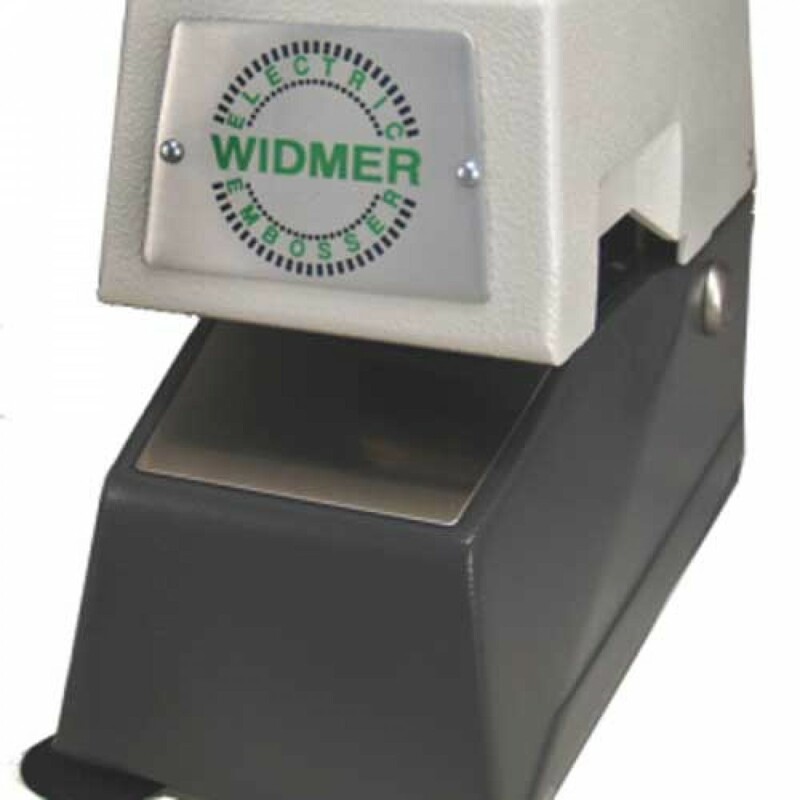 The Widmer E-3 Electric seal embosser saves time and money. Widmer Time Recorder E3 Embosser is electric seal embosser with seal diameters, 1 5/8 ", 1 3/4" or 2" diameter, Text only Seal. The seals can have simple engraving, text only seal diameters, 1 5/8 ", 1 3/4" or 2" diameter. Seals can print on the edge of the document, using extension trigger option, or up to a maximum of 3 in depth. There is no standard trigger depth as it would vary with the diameter of the seal. Machine Height: 7 1/4 "